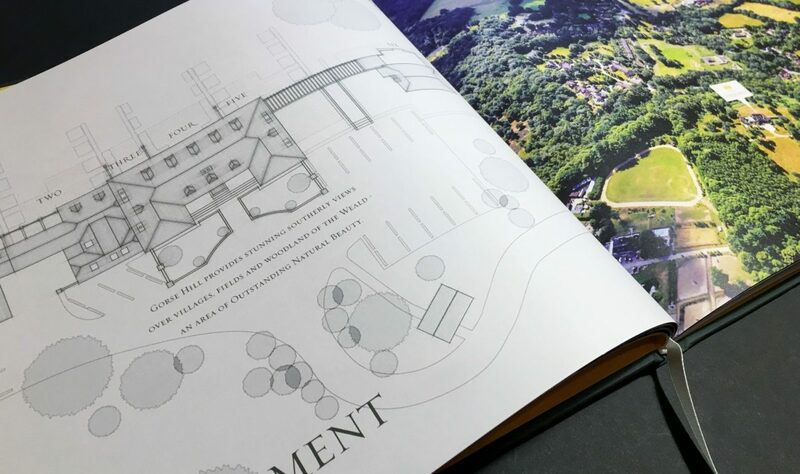 Home* were asked to create a development identity and marketing brochure for a Surrey mansion that was being converted into six prestigious units comprising three storey townhouses and two storey homes. 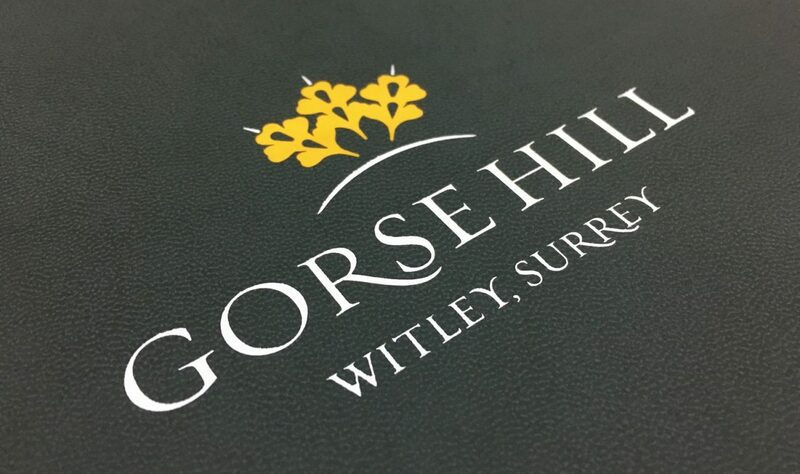 Located in an elevated position in the picturesque village of Witley and surrounded by extensive grounds and mature woodland, Gorse Hill’s unique selling point was the stunning panoramic vistas across The Weald towards the South Downs – quite possibly the finest view in Surrey. 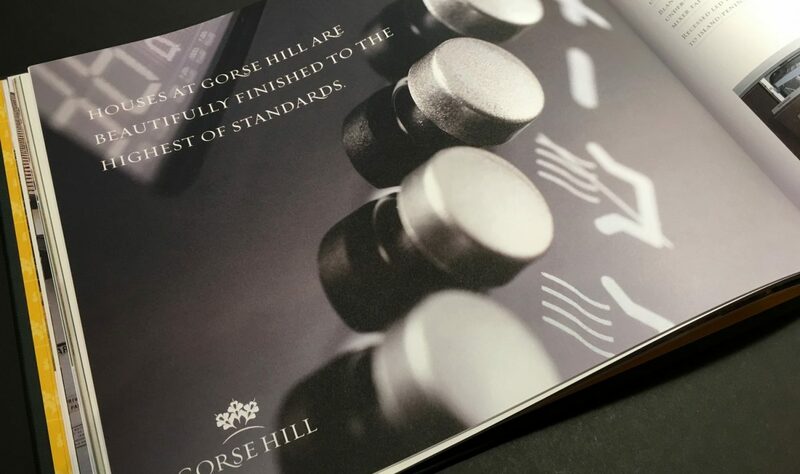 Home* produced a development identity that built on the original name of the property – Gorse Hill – retaining a classical/elegant style and colour palette but with a contemporary edge to compliment the sleek modern interiors offered within the impeccably crafted homes. An oversized casebound brochure was wrapped in a suede effect material and foil blocked with the logo. 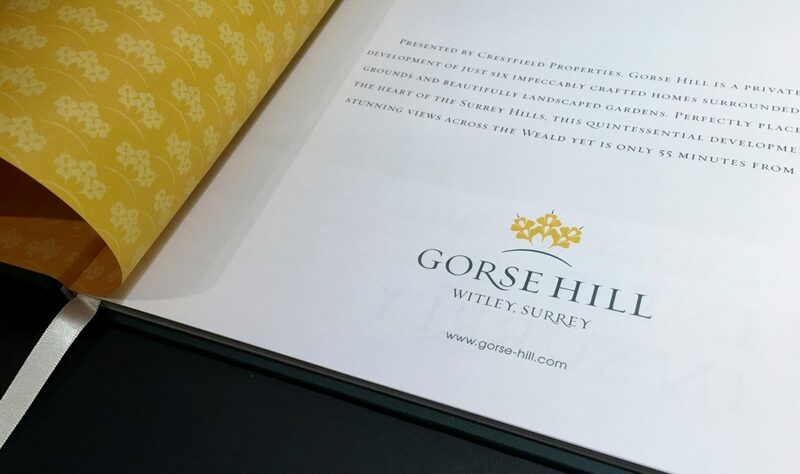 The text pages were digitally printed onto a smooth uncoated GF Smith paperstock that ensured a crisp vibrancy to the imagery that was critical in demonstrating the stunning views and beautiful interior CGI’s. By investing in high-quality marketing collateral, the client sold four of the six properties off-plan with sales expected on the remaining two.